The city stands at an elevation of 210 metres (690 feet) above sea level and has an area of 2,883 square kilometres (1,113 square miles). Bounded on the east by Dhanbad and Purulia, on the west by Ramgarh and Hazaribagh , on the north by Giridih and on the south by Ranchi. It is accessible through National Highway NH 23. The city has the presence of Steel Authority of India Ltd., Oil and Natural Gas Corporation, Electrosteel Castings amongst others. Steel Authority India Limited- The economy of the City is primarily dependent on the integrated steel plant established by the Steel Authority of India . The Bokaro Steel Plant was established with the collaboration of the Soviet Union when the First Prime Minister of India Jawahar lal Nehru decided to establish a Steel Plant in the region.Bokaro Steel Plant expansion to extend its capacity from 7.5 Metric Tonne. Electrosteel Castings Limited- A Kolkata-based water pipe manufacturer acquired 2,500 acres (10 square kilometres) of land 18 kilometres (11 miles) from the city and has erected its 2.2 MTPA steel plant. The company has invested close to Rs 80 Bn (USD 1.6 Bn) on this project which was operational from 2010. Bokaro Power Supply Company Ltd- is a joint venture between DVC and SAIL in 50:50 ratio incorporated on 18.9.2001. It produces 180 MW of monthly power generation with the primary consumer being the Bokaro Steel Plant. Monnet Ispat & Energy Ltd- which signed an MoU on 5 February 2003, has identified 1,300 acres (5.3 km2) for its project. Monnet Ispat will invest over Rs 140 billion for the project and is building a 280-mW power plant. This project is also stalled for over 13 years now and most likely be scrapped. 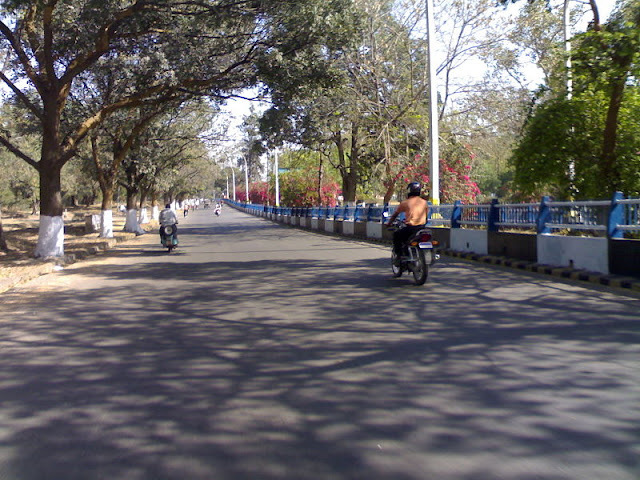 Bokaro Steel City is well connected through roadways and it has one government bus stand which is located at Naya More,near Co-operative colony which newly constructed by SAIL at Sector-12A where several buses travel via Bokaro connecting to major cities through National Highway-18 and National Highway NH 23. No Comment to " BOKARO STEEL CITY - Industrial Development Post Independnce "